Two people were hurt when a double-decker bus lost its roof when it hit a railway bridge in south London. 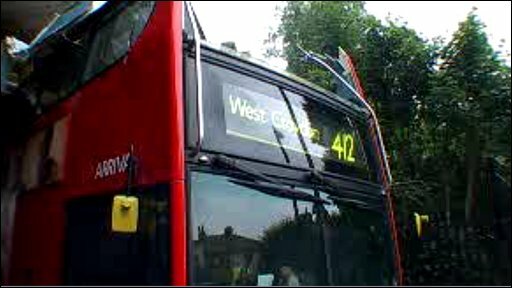 Most of the roof of the 412 bus was taken off in the crash at the junction of Sussex Road and Selsdon Road, in South Croydon at about 1020 BST. A 54-year-old woman was taken to Mayday Hospital suffering head injuries and a man was also taken there but his injuries are not though to be serious. A police spokesman said there had been no arrests at this stage.